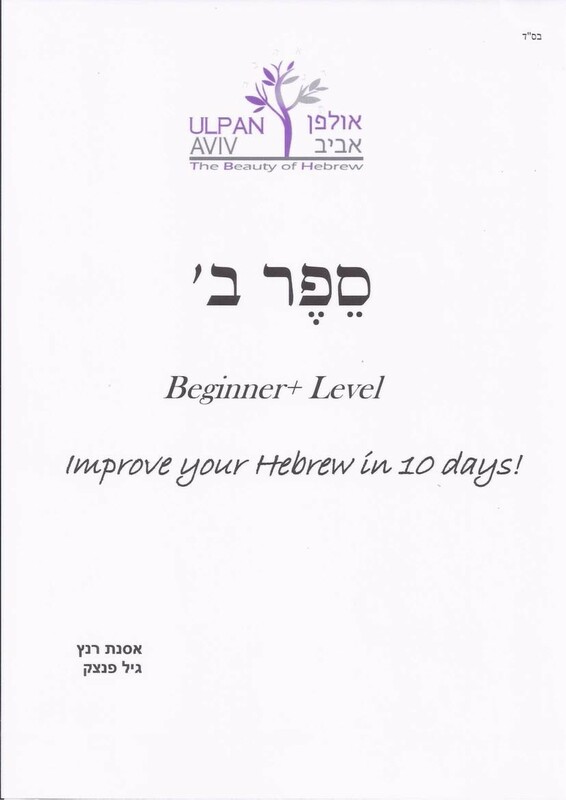 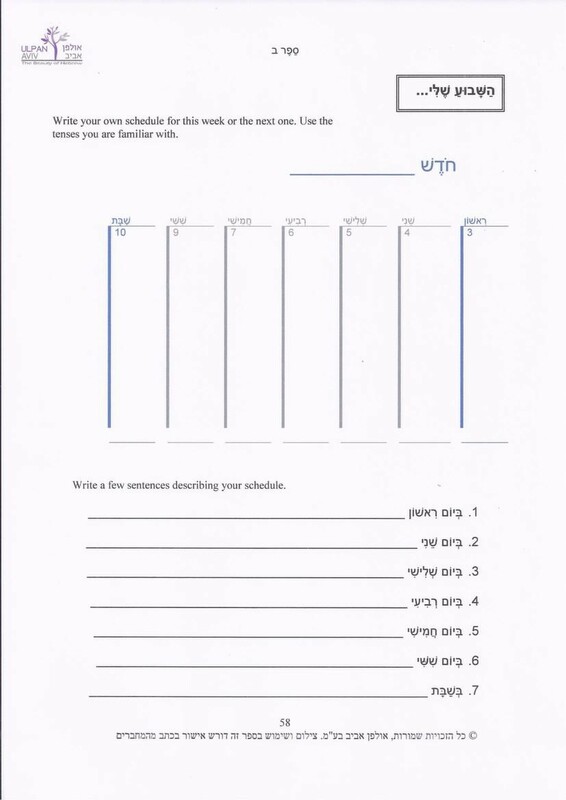 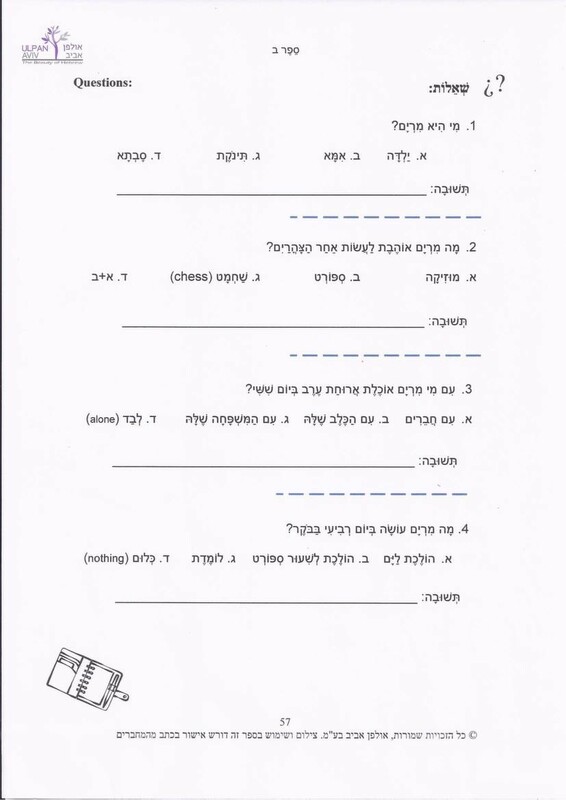 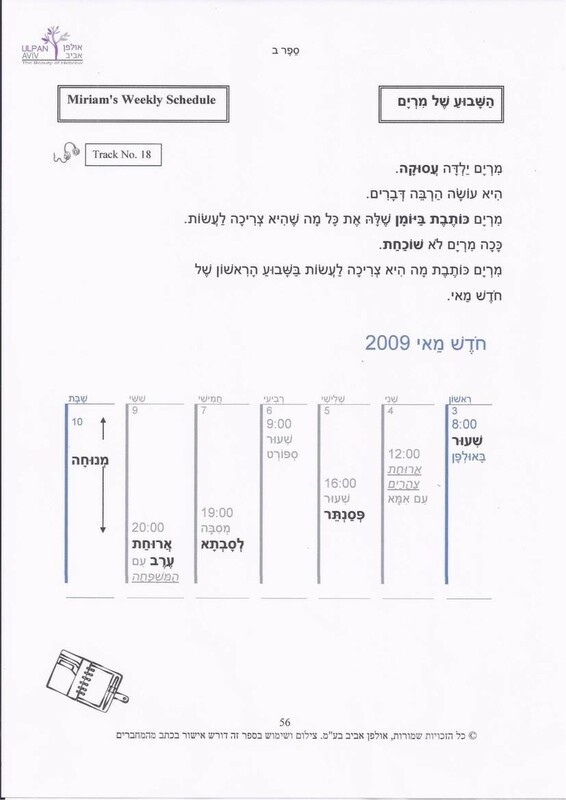 Sefer Bet was designed for the ‘beginner +’ students. 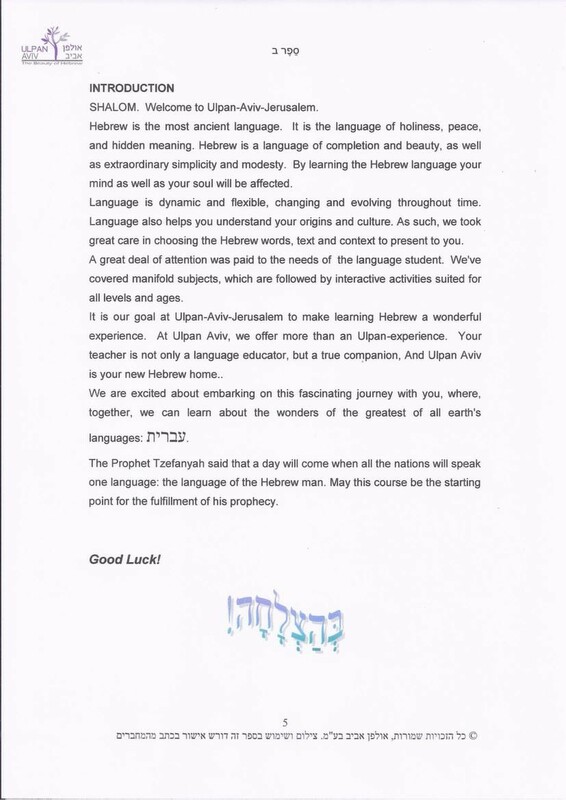 Its aim is to elaborate on the student’s vocabulary by exposing him/her to more advanced texts, in turn allowing him/her to speak about a greater variety of topics. 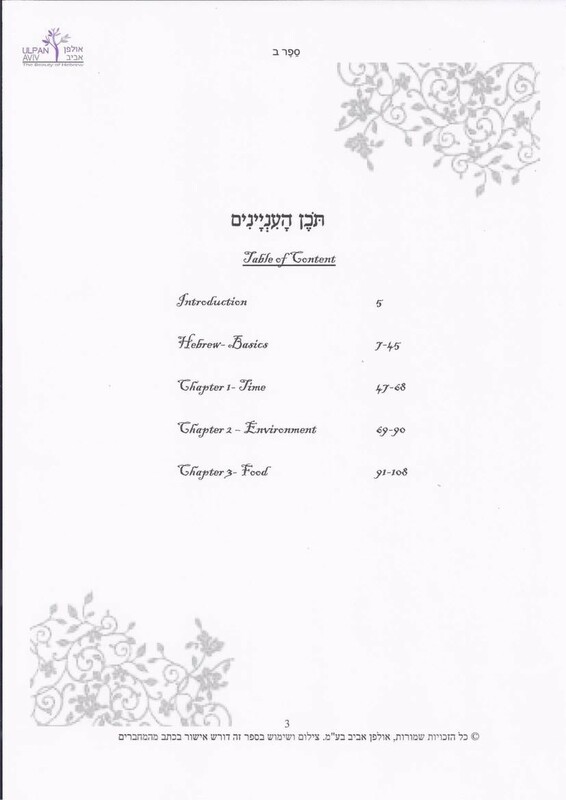 Materials in Sefer Bet give students both a firm foundation in comprehension, helping them to deal with longer more involved texts and the skills to converse in more complex situations. 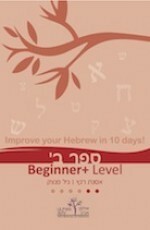 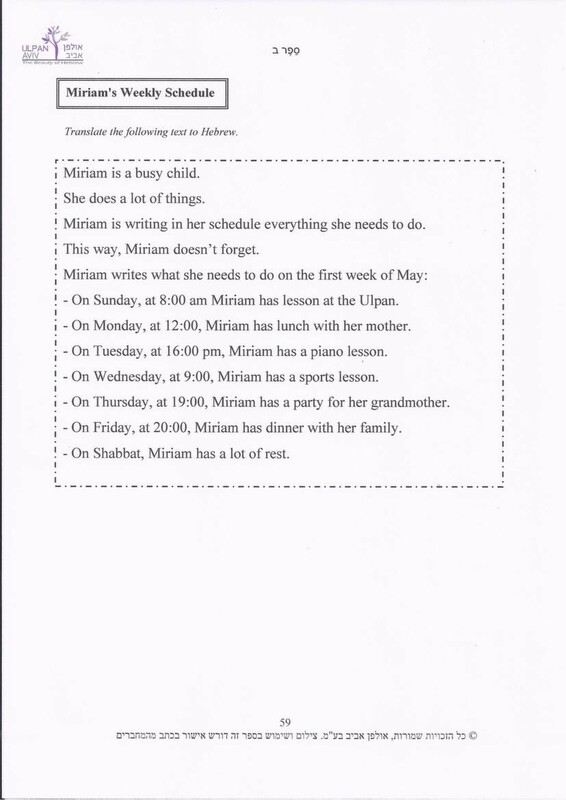 At this level Students begin to encounter Israeli idioms and expressions in Hebrew as well as metaphors and slang. 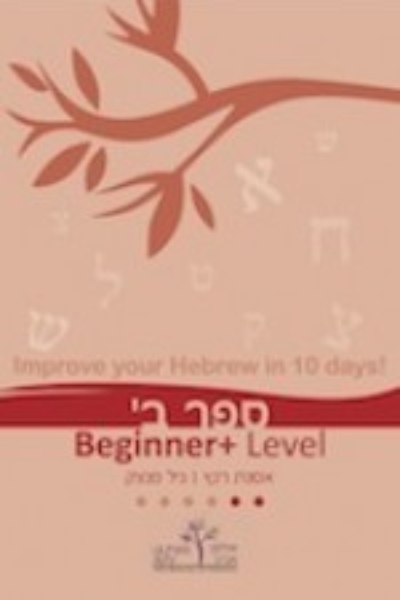 Sefer Bet’s contents may also used as a ‘memory refresher’ where necessary for those who have already completed the beginners level, (Aleph). 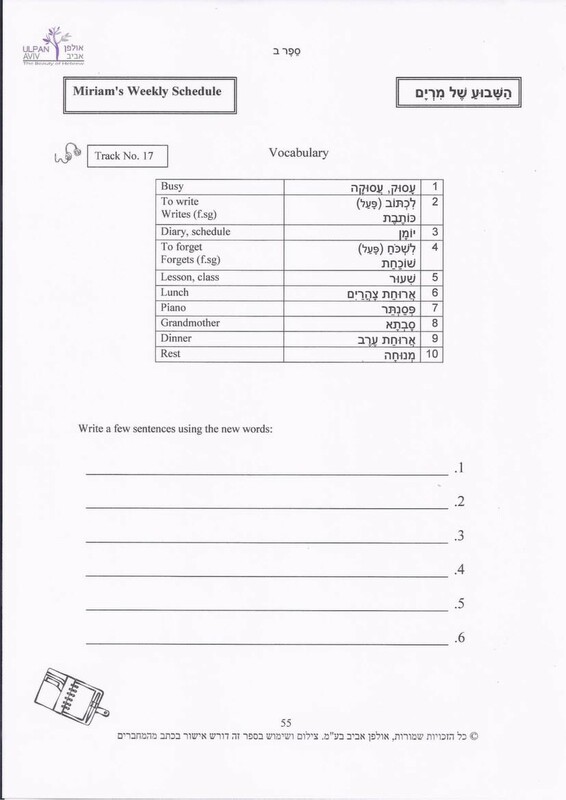 At this stage the topics from the previous level are looked at in more depth and the assignments that the students are given are more challenging.